Melbourne's weekend and summer getaway territory has transformed itself into a year-round destination with as much edge as the city. We're T-minus one week until the Good Food Guide Awards are announced and it's clear that our regional restaurants are bringing some of the greatest heat this year. 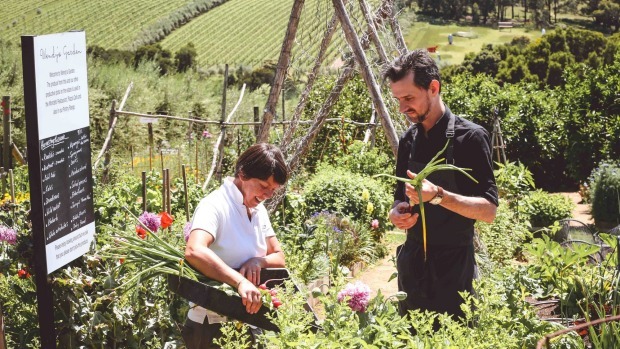 Chef Dan Hunter is digging deeper than ever (literally), fortifying and expanding Brae's gardens, as is Troy Rhoades-Brown at Hunter Valley's Muse. The tiny Fleet team continues to create improbable noise for a 14-seater in sleepy Brunswick Heads. 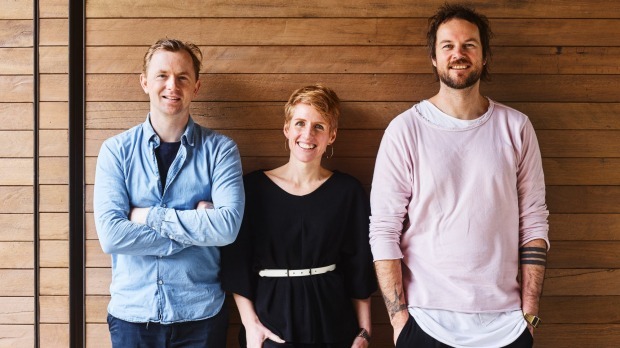 The Agrarian Kitchen Eatery, a 40-minute drive from Hobart, has become a national beacon for luxe-rustic dining while the combination of ex-Rockpool chef Phil Wood, $50 million worth of sculpture and ocean views has made Laura in Victoria an instant destination. 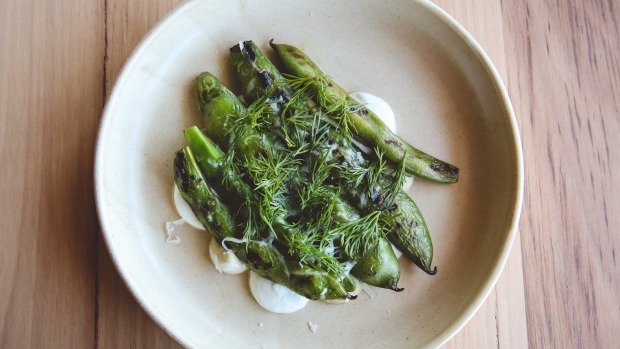 Yep, regional dining is hot, but some regions in particular are on fire. Last year, Hobart burned bright with new stars such as Fico, Dier Makr and the Agrarian Kitchen Eatery, the former two drawn to the sleepy southern city's growing cache off the back of David Walsh's boundary-pushing museum MONA and its winter and summer festivals, Dark Mofo and Mona Foma. In 2018, a surprise hot spot in the making is the good old Gold Coast. An influx of entrepreneurial young sea-changers to the region and a flush of restaurants and bars like Hellenika, Labart and Mrs Sippy in the former Rick Shores are rising up to meet them. But nowhere has exploded with as much ferocity as Victoria's Mornington Peninsula. Known for its vineyards and orchards dotted with bucolic restaurants, and its bay and coastal beaches, the Regional Tourism Board estimates $700 million has been invested in new builds and major renovations, transforming what has long been Melbourne's summertime playground into a year-round proposition. The rumblings started last year with the opening of Jackalope, Louis Li's $40 million art hotel featuring a triple threat fine diner (Doot Doot Doot), cocktail bar (Flaggerdoot) and casual bistro with cellar door (Rare Hare) – all worth your time whether staying in the luxury accommodation or not. It was followed in December by a crashing roar of Point Leo Estate, the Chadstone-owning Gandel family's $50 million development of their family estate on Western Port, with its restaurants Laura and Pt. Leo Restaurant as major draws. 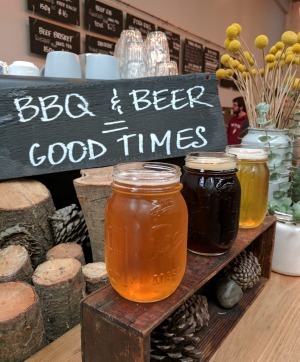 Two new breweries, St Andrews Beach, another multimillion-dollar job in a converted stables, and smaller Jetty Road Brewery, have opened along the coast while some smaller operations like cult pie bakery Johnny Ripe and Red Gum BBQ, a smokehouse running out of an old mechanics shed, help round out the peninsula's formerly wine-focused, sometimes stuffy offering. It's not just new money either. Whether it's a timely coincidence or a case of keeping up with the Jackalopes, a number of major overhauls have also been unveiled. 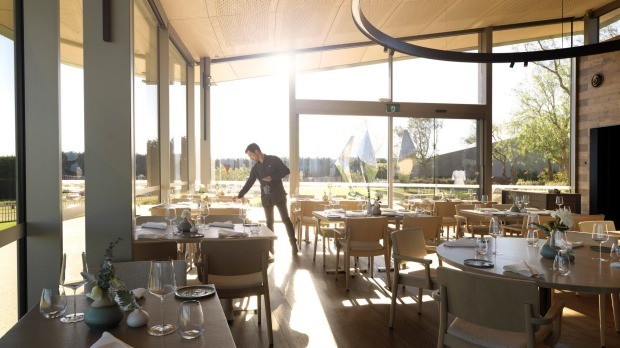 Boutique hotel Lindenderry at Red Hill had a multimillion-dollar facelift by Hecker Guthrie, fortifying the restaurant and cellar door options. At the redeveloped and now hugely imposing RACV resort at Cape Schanck (a nip-tuck that cost a cool $135 million on its own) ex-Estelle chef Josh Pelham has been choppered in for the challenge of creating Cape, a fine diner to satisfy longstanding club members and attract the next-gen. Another $13 million has been poured into the Peninsula Hot Springs, a thermal mineral springs day spa that has a new Scandinavian-inspired sauna and ice cave facility, an amphitheatre for concerts and luxury accommodation and glamping facilities in the works. That's a lot of dough. Multiple punts. But it's paying off. Tourism Research Australia data shows overnight visitation to the peninsula, just over an hour's drive from Melbourne's CBD, has risen 21 per cent in the past year. A wine-producing and seaside region, winter has always been a fallow season with winemakers doing vintages abroad, and beach houses lying dormant. This year, according to the restaurants, the quiet patch never came. That's not just a matter of money. Fresh blood and big ideas are creating tonal shift. New projects have shrugged off some of the region's image as a weekender for the puffer jacket-wearing hobby farmer set and given it some edge. As with Mona's influence on Hobart, art is a big factor. Jackalope's design features (they call it "inhabitable art") including Jan Flook's 10,000 bulb installation bubbling across the ceiling at Doot Doot Doot, Christopher Boots' crystal halo lights in the luxury suites and the green and blue neon symbols illuminating every Instagram check in, have drawn a totally different demographic southwards than would ever have come for wine tastings and accommodation featuring wicker and decorative shells. Point Leo Estate's sculpture collection comprises 50 large-scale works by Australia's top artists, gathered by the Gandel family over 20 years and curated by Geoffrey Edwards, former Geelong Art Gallery director and sculpture curator for the NGV. The full loop of the sculpture park takes 60 minutes. It's world class, and truly something to view the torn horizon through Jeppe Hein's mirror labyrinth and see works by Australian artists Inge King and Lenton Parr in such a setting. It's worth noting that nearby Montalto, an 18-years-strong player on the dining, art and winery scene, has run a large sculpture prize, open internationally, since 2003, and its collection of 55 major works winding over the hills draw the eye from the dining room. But there's suddenly a tipping point, a critical mass. Roger Lancia, general manager for Point Leo Estate, has been working at peninsula restaurants for a decade, starting at Port Phillip Estate, a winery and restaurant at Red Hill. He remembers when the area's biggest attraction was Gordon Studio Glassblowers and credits the opening of Peninsula Link between Eastlink and the Mornington Peninsula Freeway in 2013 for the bloom. Lancia says "the way it dispersed traffic took people away from the usual route that's been there for so many years, and the result is this exploration of the whole peninsula". Has the curious art drawn more curious eaters? The Mornington Peninsula has long had very good winery restaurants (hopefully this summer one of its best, two-hatted Ten Minutes by Tractor, will reopen after a fire and a slow rebuild). But chefs such as Julian Hills, former Paringa Estate star (now at Melbourne's Navi) found weekend warrior diners sometimes unwilling to venture. Set menus starring slow-cooked proteins and seasonal purees were a rather repetitive theme. Flex, crunch and fire has forged its way in. Montalto reopened in December after a progressive make-under of its restaurant. Linens and set menus have been ditched for a woody farmhouse look, fur throws, and a la carte fire-fuelled dining using the three hectares of gardens. Radishes come loaded with whipped bottarga; shreds of smoky goat shoulder and curd are concealed beneath a floppy fazzoletti pasta sheet; fat potatoes are drenched in creme fraiche, sweetly pickled onions and vegetable gravy. It's a brave new world buttressed by picnics for both winter and summer, held across the property and at the newly acquired Tuck's Ridge next door. At Jackalope, where the coat cupboards are entirely lined with rabbit pelts, it's safe to assume a progressive agenda is pushed on the plate. And in the glass. The cocktail bar, Flaggerdoot, spruiks cocktails exploding with native botanicals and sometimes garnished with half a garden. It does a collaboration with Melbourne cocktail bar the Everleigh but the skills on shaker and knowledge around the classics could stand up to any bar in the city. 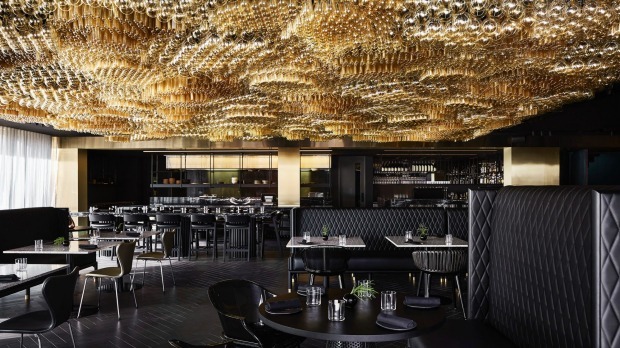 Doot Doot Doot, Jackalope's Amex Black level of dining, is all dark booths, esoteric wines (globally sourced but all from vineyards matching the 11-hectares of their own). Service from restaurant manager Ollie Tucker is on the ball and a coiffed menu from executive chef Guy Stanaway comes liberally sprinkled with native Australian and Japanese ingredients, from buttermilk-bathed spanner crab pinged with finger lime and green tomato relish to lamb lifted with white soy and ice plant. Though it's hard to argue down Doot's casual sibling Rare Hare by day, with its central hearth, sweeping views of the vines and a brilliantly pared-back menu kicking goals while taking a straighter tack. Here are waffles loaded with trout roe and horseradish cream; stracciatella banging with sour cucumber pickles; soft, salty brisket fired in that hearth and sticky, crisp barramundi wings. Good, easy times. 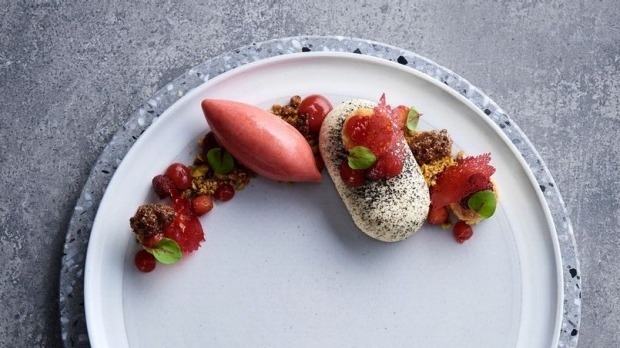 Cape Schanck, best by weekends, keeps a foot in both camps as chef Josh Pelham marries comfort with ambition. There is steak here, and sous-vide chicken with textures of corn there. But given rope, there's also gamey kangaroo tartare offset with sweet jabs of pickled pear, balloons of puffed beef tendon and saltbush. But it's Laura that's set the engines gunning for the peninsula. A frontrunner straight out of the gates, the leather-topped tables, spindly Zalto glassware, sweeping views of art and sea and the sound of whisks gently striking pans as Wood uses classic technique to forge modern classics from the peninsula's best all set the scene for a dining journey that sums up why this region should be on Australia's radar. We're beyond eating here, and deeply into the experiential plain. Bold dreams have been made reality in this pocket of the world. Take the ride. Here are the five finalists for the Good Food Guide 2019's Santa Vittoria Regional Restaurant of the Year award. New Norfolk's one-time mental asylum found worthy new purpose last year as the light-filled dining arm of Rodney Dunn and Severine Demanet's bucolic cooking school in the Derwent Valley. Chef Ali Currey-Voumard delivers classic foundational cooking at its best from a king hell carbonara draped with house-cured pancetta to multidimensional roasts, with most elements grown on the farm. Dan Hunter's garden is blooming, beehives buzzing, wood oven smoking and his kitchen and floor team are on fire. The dots continue to connect at this Birregurra weatherboard, where the plates are now sculpted from dam mud, and beers are brewed to match dishes that truly begin at germination stage in the gardens outside. This 16-seater in Brunswick Heads possesses the disproportionate power-to-size ratio of the mighty ant. 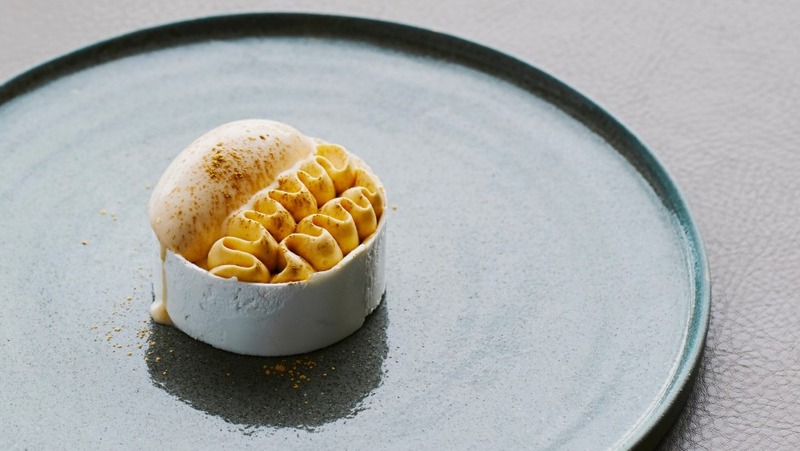 There's no move misstepped, from Astrid McCormack's glowing service and tight, impeccably curated wine list to chef Josh Lewis' always surprising, elegant dishes, be it that accessible sweetbread sanger to so-wrong-it's-perfect licorice ice-cream nesting in crisp onions. In a soothing terrarium under the gaze of Jaume Plensa's perspective-bending statue, ex-Rockpool and Eleven Bridge chef Phil Wood takes his cues from the Mornington Peninsula, basing each course of the set menu on the dairy, wines, land beasts and fish of the region, and shaping them with an innovative mind and rigorous classic technique. The package is tighter than ever at Troy Rhoades-Brown's Hunter Valley hero championing the best of the wine region both on plate and in glass. Service hums, the glass ceiling sparkles and the house-grown produce, given an increasingly Japanese lilt, is skilfully transformed with measured elegance. The Good Food Guide's second annual national edition, with hats awarded across Australia, will be launched on October 8 with our presenting partners Vittoria Coffee and Citi. 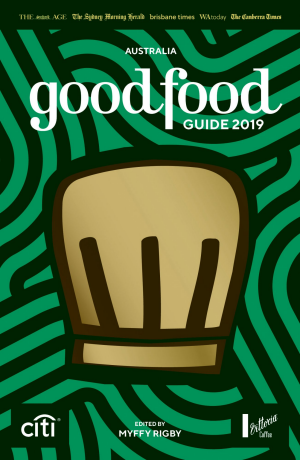 The Good Food Guide 2019 will be on sale from October 9 in newsagencies, bookstores and pre-ordered via thestore.com.au/gfg19 (delivery included), RRP $29.99.